Experience the charm and romantic beauty of the City of Nassau on this highlights tour. 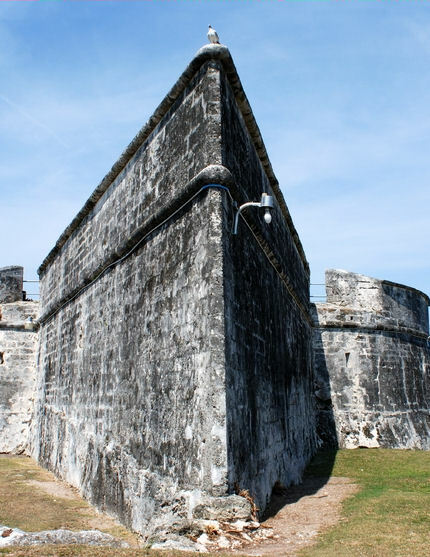 18th century Fort Charlotte and Fort Fincastle, built to protect Nassau Harbor from Invaders, will come to life with the help of local guides. Descend the Queen's Staircase, 66 steps hewn from solid coral rock entirely by hand, to enjoy a lush tropical garden and waterfall named in honor of England's Queen Victoria. Travel along Bay Street, the heart of Nassau's shopping district, including the native Straw Market. Other highlights include views of Government House (official residence of the Governor General of the Bahamas since 1801), the Governor's Mansion, Gregory's Arch. This stone arch was named for Governor John Gregory who served around 1850. Make a photo stop at the highest point of the island, the Water Tower, for a panoramic view of Nassau and its surrounding turquoise waters. Finally, before returning to your ship, travel to Paradise Island where you will be treated to a photo stop at the famous Atlantis Resort. Advise guide if you are unable to navigate the steps required on the Queen's Staircase stop. Child's rate is for children ages 3 to 10 years old. Under age 3 is free, over age 10 pays the adult rate.